Portland is a strange and wonderful land. I appreciate the folks who work hard at keeping it weird. 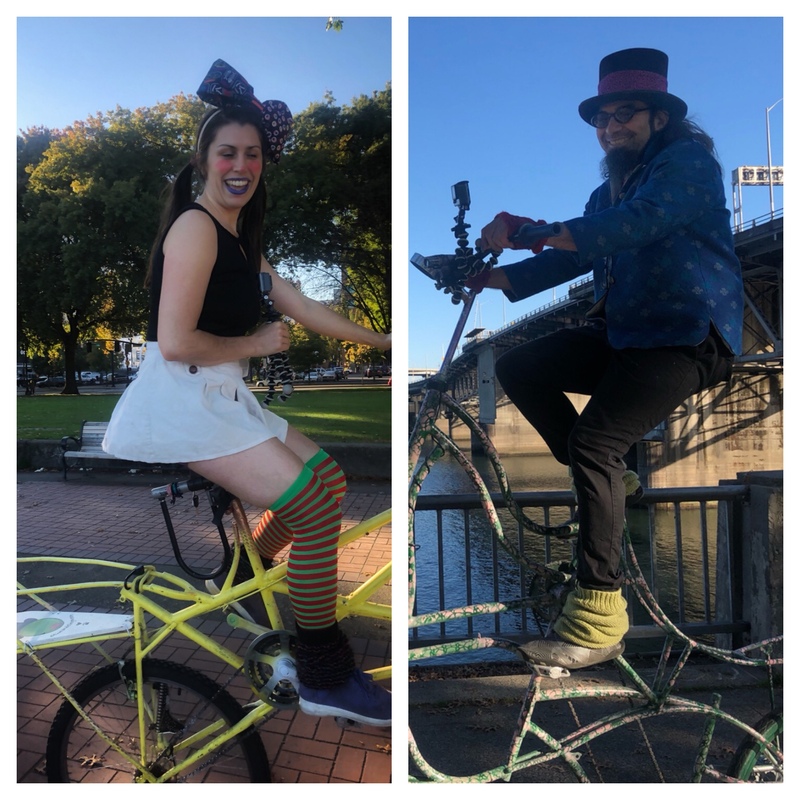 These two were taking turns, leap frogging each other as they rode with a GoPro down the waterfront. I had to stop my run and snap a few photos …. Again, not my best work, but you get the idea. Love the idea of folks taking the time and effort to celebrate their community in creative ways. Definitely worth stopping to watch and support their effort. The smiles go both ways!